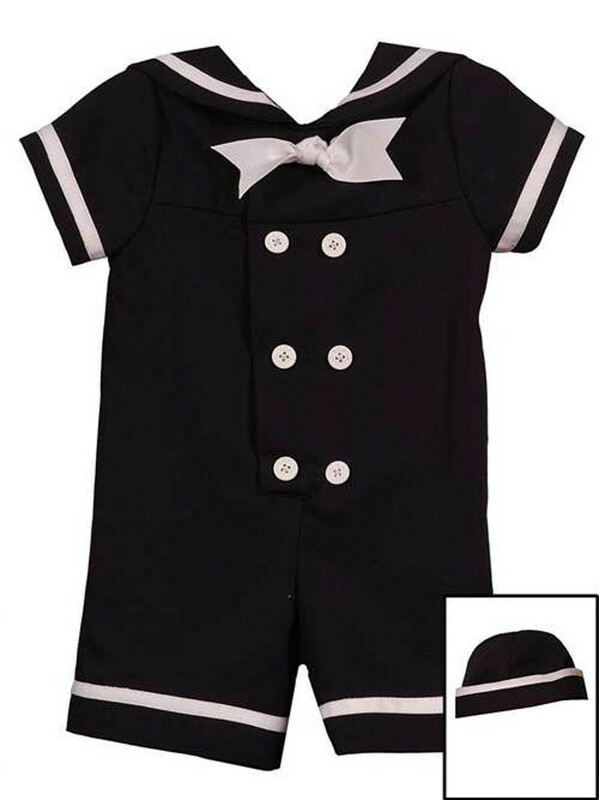 Fabulous little boys navy sailor suit for infant boys features matching sailor hat. Adorable! Traditional sailor suit styling(short length not pant length). Runs true to size.